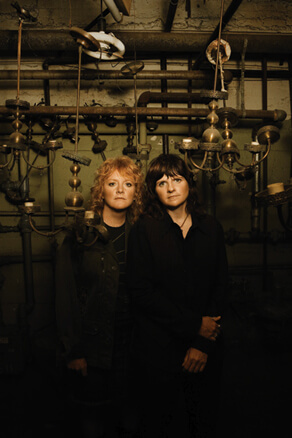 For more than two decades, Indigo Girls Amy Ray and Emily Saliers have presented some of their best music in front of cheering crowds – sometimes in the cramped confines of a small club, sometimes in a vast arena packed with thousands. The Grammy-winning singer-songwriters celebrate their long-standing passion for live performances on their latest release, Staring Down the Brilliant Dreamon IG Recordings/Vanguard Records. This two-disc CD features 31 songs, each hand-selected by the duo to capture the most memorable moments of their 2006-2009 amazing run of concerts. The Indigos still consider live shows the most vibrant part of what they do and there is no place better than Pollak Theatre to see them do it up close and personal.